What’s the feedback you got for scoring music in Rainbow? We released only two tunes to the SFM. Just three days went by. The response is mind-blowing. My mobile has no rest. This output wouldn’t have been possible but for the freedom given to me by my director VN Aditya. I think the audio will be hitting the open market in a day or two. I am confident; my tunes will be liked for their originality. Tell us about your background in the world of music? Since my childhood, I nursed an ambition to become a original composer. I took my MA (Music) and M.Phil from Telugu University. I was trained in the Classical and Hindustani. At first, I took up the job for a couple of TV serials, including the popular devotional skit Jai Veerhanuman on the Sony. It was followed by similar projects on the DD, ETV. 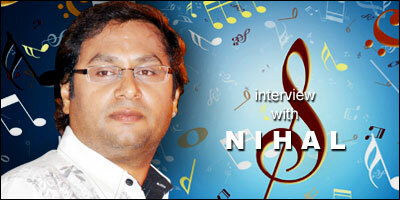 I got Nandi Award as Best Music Director for the TV programme – Mahakavi Bharavi. Before that, I made my debut as a singer in the films Nee Kosam and Chitram. During this period, my contribution remained a must for almost all title songs of various TV shows and serials. Later, I joined the Indian Council for Cultural Relations (ICCR) under the Govt. of India. I was deputed as the Cultural Ambassador to the Indian Ocean island nation Mauritius during the years 2000-2004. I took up the administrative and cultural responsibilities in propagating the power of Indian music. I traveled into almost half of the globe. I discharged a passionate duty as the messenger of Indian music in various universities and cultural divisions. I had the privilege to interact with some of the famous musicians of land wherever I went. For instance, it was George (Romania), who held the uncanny knack of playing the instruments to produce sounds in nature. South Africans are good at rhythms. I encountered hundreds of such experiences. I left the echelons of high status as a cultural ambassador to pursue my dream in the world of music. I started my career again as a singer. It was with Mani Sharma for the film Jai Chiranjeeva, followed by Pokiri (by the same music director). Later, I worked with almost all the top music directors, including Koti, Raj, RP Patnaik, Iman, Vandemataram, Srikanth Deva. However, I never had the opportunity to work with MM Keeravani. I shall be grateful to Mr. Prasad Rao of Mount Opera, who created an opportunity for me in my second coming here. How you felt working with VN Aditya? It all happened with the speed of a wind. One fine evening, I was sipping a cup of tea with Aditya. He said that if I could make a tune worth his liking on the spot, he would surely make me the music director for his immediate project. Immediately, I composed a tune – Asha Chinni Asha. He instantly liked it and asked me to go ahead with even more tunes. However, I took it lightly and kept silent. After twenty days, I came to realize that Aditya was serious about his promise. All of a sudden, he asked me, one day, to come to his house, which I did. I was puzzled and went speechless as Aditya started introducing me to a big gathering as his music director for Rainbow. So far, he has not told me the story of the film, but all of my tunes for the film were approved. I keenly followed the suggestion of Aditya – to be myself in composing tunes and strictly not getting carried away by others. Who were your gurus in Tollywood? Certainly, they were RP Patnaik and Mani Sharma, who gave me the foothold in my second coming. Our film industry is found to be plagued by the monopoly factor, particularly when we see only the big names continue to rule the roost. How confident are you in this monopolized and highly competitive industry? Yes. There is monopoly. It is everywhere. My antidote for this is to believe in God and doing my work without bothering for the results. All great successes are marked by great struggles. Did you ever feel of quitting the profession? Any sour backlash in your career to that extent? To be frank, I faced two such moments. They were so powerful that the first one made me feel like quitting the profession once for all, while the other one almost turned into a reclusive, that I was forced into depression for a full of six months. I sang a track for Shiva 2006 with music by maestro Ilayaraja. On hearing this, he immensely liked that, along with others, including singer Sunita, Ramgopal Varma, JD Chakravarthy and a good number of technicians. But, the happiness didn’t long last. Suddenly, my track was dropped and it was replaced by the one sung by a singer from Malayalam. I came to know that I was removed based on the sectarian reason of myself being a Telugu man. Or simply I felt that way. Anyways, it was disgusting. Prior to that, I was selected to a make a video album for a big corporate group. It was in 2004. The party repeatedly informed me that they were interested to make it a global thing to happen. I shuttled myself between Hyderabad and New Delhi many a time. They gave me the date from which the shoot would commence. The day arrived at last, but there was no information from the other end. Later, I came to know that the company had dropped the project – just because I came from South India. It forced me to sit in isolation, dejected for about six months. What will your share of contribution to Tollywood when you consolidate yourself as a music director to reckon with? Certainly, I feel it is my foremost duty to introduce more and more number of native (Telugu playback singers). Don’t you think you are following the same yardstick of your tormentors on regional and linguistic barriers? Never. A big majority of the singers in our industry is from the North. I accept that there is a kind of special grace in their voice. At the same time, I prefer to give a big helping hand to our local singers. Huge amount of money and time is spent on the people from the North. If one-tenth of that is spent on the locals, the result would definitely be qualitative and natural. I already began the exercise. In Rainbow, three new singers, or call them our native singers, were given the job. We have great many talented singers like Karunya, Hemachandra and others. To be frank, did they get the right place here? I am doubly serious. If I only had sung a song like – Gala Gala Paruthunna Godarilaa (Pokiri) – in Bollywood, I would have reached the topnotch position there. Who is the big inspiration behind your career? It is my mother. She (KL Vasanthi) is a good singer since her childhood. For me, her voice is on a par with a Lata Mangeshkar and Susheela. Her extraordinarily mellifluous voice inspires me to infinite levels. Which was the biggest compliment in your life? One day I was there in Mumbai, recording a track of mine. Famed Asha Bhonsle happened to hear the same. When I came out finishing that track, she appreciated me and personally gave me a word that she would support me in Mumbai. She had even discouraged my idea of going to Mauritius as India’s cultural ambassador. But, I had already signed the agreement with the Central Government.